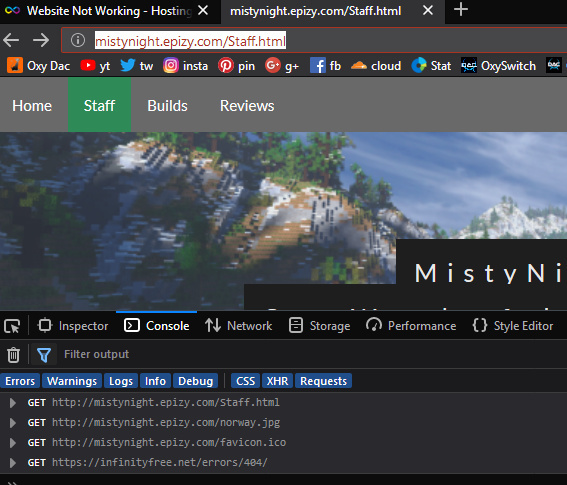 Hello, I own a website (http://mistynight.epizy.com/) and the Staff Page does not work. Oddly, it works when run on my own computer. I do not know the reason why. then pay attention to the big and small letters if you manually enter the address.